Much as I love a good old fashioned sausage, I'm rather partial to the wealth of fancy BBQ treats Marks & Spencer have on offer each year. King prawn skewers, chilli & halloumi kebabs, smoky ham & cheese warmed on the BBQ grill.... I'll take one of everything please! Handily, M&S have a number of offers on right now that means you can try more of the products. The BBQ Grill meats are all 3 for £10 mix and match, so for one bundle I got the two different skewers above, plus the Lemon & Herb Salmon Flatties. Then a second £10 selection of 12 Cornish Cove & Bacon Posh Puppies (hot dogs), BBQ Beef Brisket in a chilli glaze, and the Mixed Slider Selection- 4 chorizo pork & 4 Moroccan spiced lamb mini burgers. 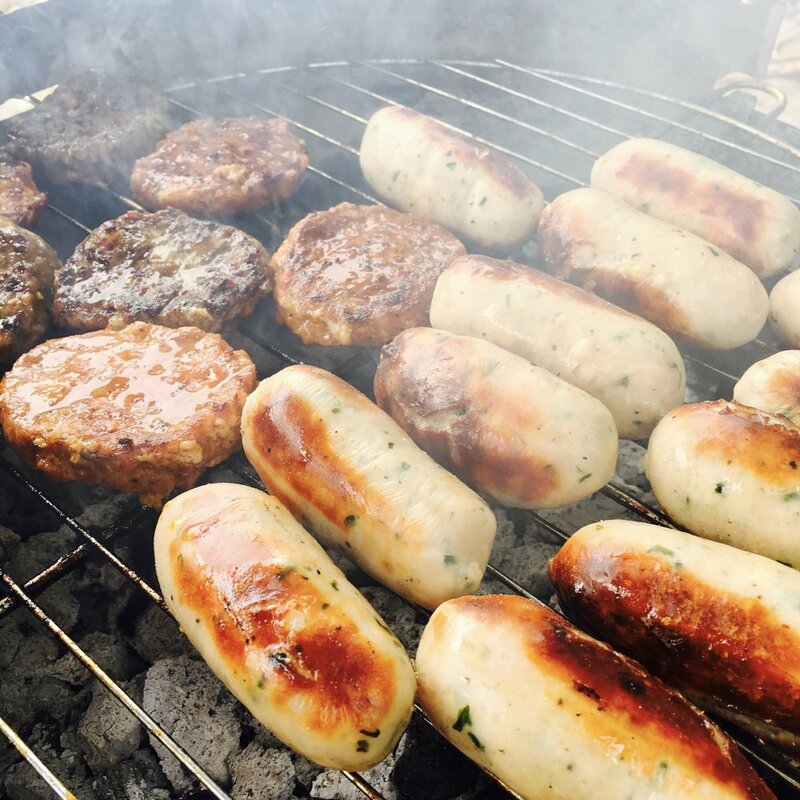 Chorizo sliders, Moroccan lamb sliders & Cornish Cove and bacon Posh Dogs on the grill! 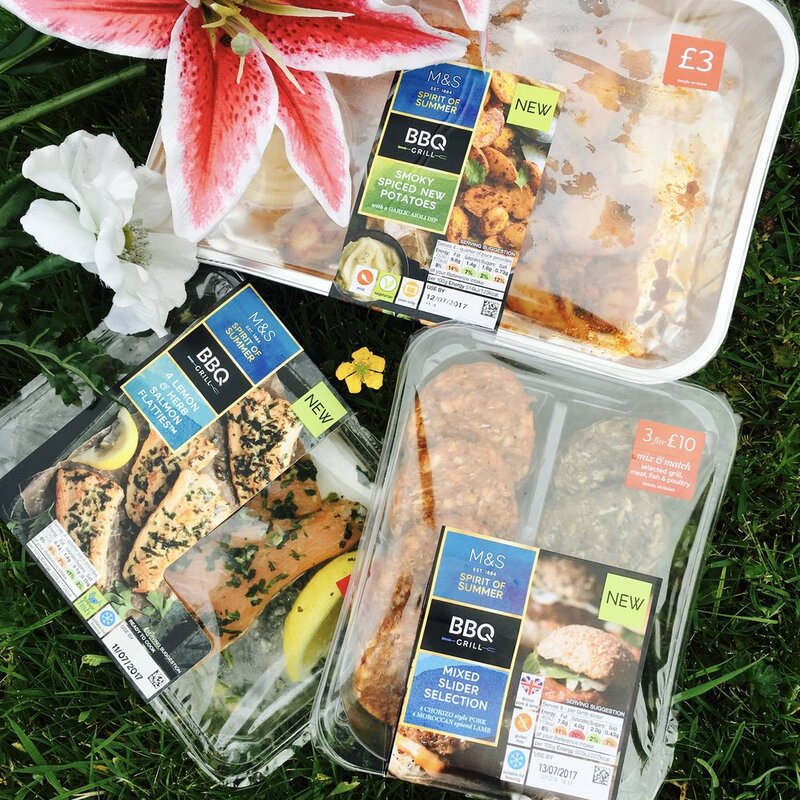 M&S also have a range of delicious BBQ Grill sides, which fall under the 2 for £4, or 3 for £6 offers. 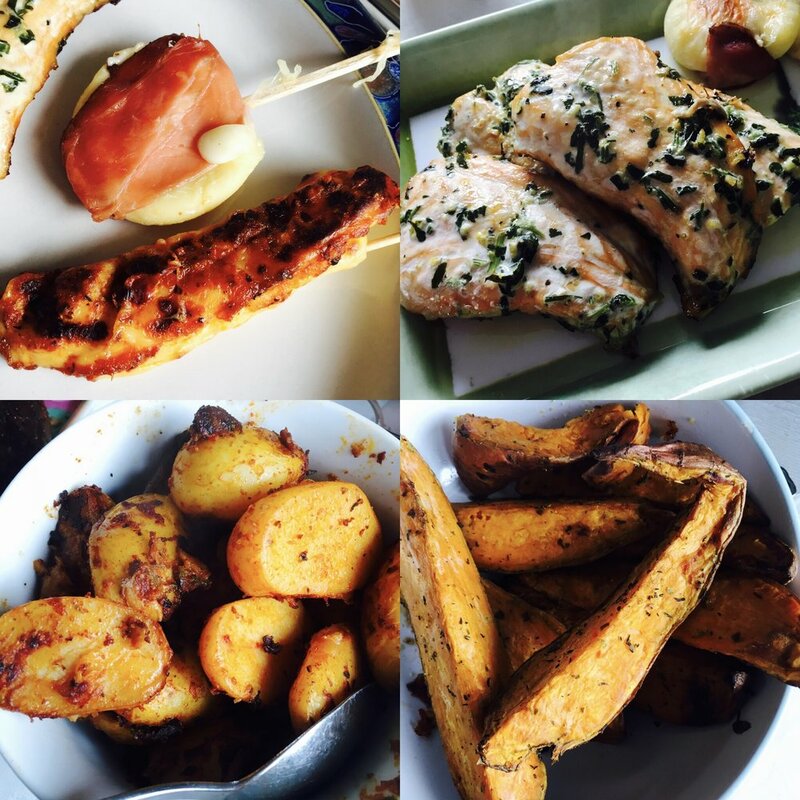 I picked the Smokey Spiced Potatoes (above) and the Sweet Potato Wedges (below). These can simply be placed in the oven to cook while the meat is BBQed. Marks & Spencer is the home of exotic salads, and their long running 2 for £4 offer on the mini boxed fresh salads includes the new recipes for Spirit of Summer 2017. The Orzo Pasta below is excellent, it will be a summer-long repurchase for me. Hopefully we will have lots of sunny weather for BBQs!